MARCELLA HAZAN was born in Cesenatico, a fishing village on the Adriatic in Emilia-Romagna, Italy’s foremost gastronomic region. After receiving her doctorates from the University of Ferrara in natural sciences and in biology, she lived and traveled throughout Italy. 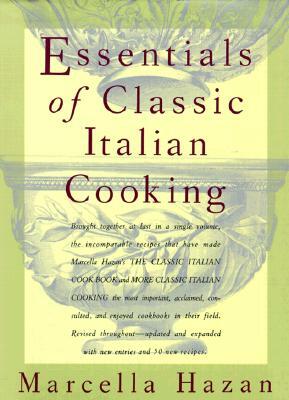 With the publication of The Classic Italian Cook Book and More Classic Italian Cooking (brought together in a single volume, Essentials of Classic Italian Cooking), her reputation as America’s premier teacher of Italian cooking spread throughout the country. Hazan died in 2013.